Heat a pot with a tight-fitting lid over medium heat with the lid off. Melt the butter, then add the broken pasta to the pot and toast until deep golden. Add the rice and stir, then add the stock and bring to a boil. Cover the pot and reduce the heat to low or simmer. 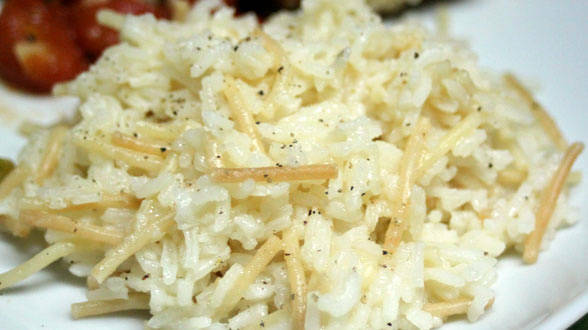 Cook for 17-18 minutes, then fluff the rice with a fork. In Recipes-list.com we have selected the most viewed recipes from category - uncategorized . Enjoy the best recipes specially selected for you! Rice Pilaf is the right choice that will satisfy all your claims.